082.P. J. Moskal – JavaMuseum 2010 – Celebrate! Przemyslaw J. Moskal holds a position of Assistant Professor at Canisius College in Buffalo, NY where he is a faculty member of the Digital Media Arts Program in the Communication Studies Department. 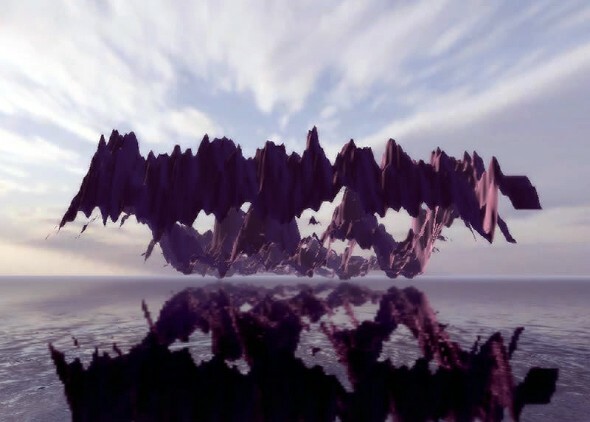 Since the early 1980’s personal computers have provided artists with new tools that challenge linear, authoritative forms of presentation by introducing elements of real-time graphics and audio, interactivity and participation. Today, availability and increasing ease of use of the so called “game engines” allows artists to create virtual, interactive spaces that can be driven or inspired by music, its rhythm and lyrics, just like the music videos genre that was born around the same time as a personal computer and was popularized by the MTV culture and availability of the video technology. Digital Sculptures for Analog Sounds is a collection of interactive virtual sculptures and environments inspired by 13 tracks of analog sounds composed by artists of the Warsaw Electronic Festival. The viewer can explore the virtual space and mentally immerse him/herself in a contemplative, stimulating electronic soundscape. The explorations are limited to the length of individual sounds. Some pieces are pure explorations of the 3D environments, others evolve with time and with development of the sounds. The sound is played linearly but the interactive experience of the virtual space challenges that linearity. 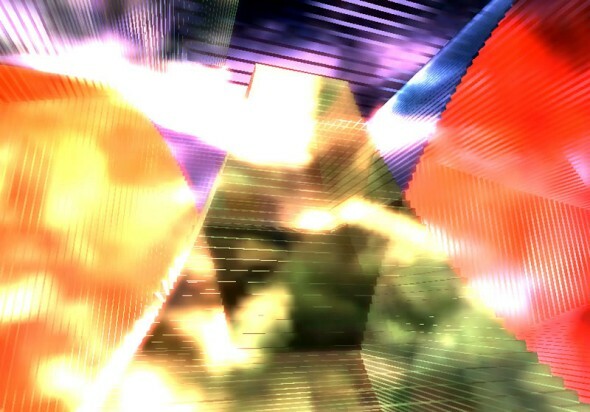 My attempt was to create an interactive audiovisual environment that regardless of the juxtaposition of the linear audio and non-linear visuals develops its own rhythm in time and space.